Is Your Child a Healthy Weight? About one in three American kids is either overweight or obese, according to the American Heart Association. Obesity rates in children has more than tripled between 1971 and 2011. We’re now at a stage where obesity is the number one health concern among parents – and rightfully so. But what exactly is a healthy weight for children? That can be a difficult question for parents to answer. Conflicting messages from doctors and the media can leave parents scratching their heads. After all, every body is different, right? 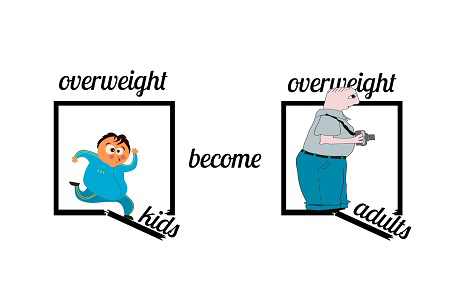 A healthy weight for one child may not be healthy for another. Measuring the child’s body fat level is a better way to determine whether he or she is at a healthy weight. We can do this by measuring a child’s BMI. BMI stands for body mass index, and it assesses your child’s weight to height ratio. It’s not a 100% accurate way to determine body fat, but there is evidence that BMI correlates to direct measurement. Some of you may already be familiar with BMI calculators, and you may have even used one to see if you’re a healthy weight. But BMI is measured differently in children, so it’s crucial to use the right calculator to get accurate results. The easiest way to calculate your child’s BMI is to use an online calculator, like the one offered by the Centers for Disease Control and Prevention. Once you’ve entered this information, the calculator will determine your child’s BMI. If you use the CDC’s calculator, the results page will let you know whether your child is a healthy weight, overweight or underweight. When measuring your child’s height and weight, make sure that you remove shoes, bulky clothing and any other items that may add weight or height. No matter whether your child is overweight or a healthy weight, it’s important to encourage healthy habits. 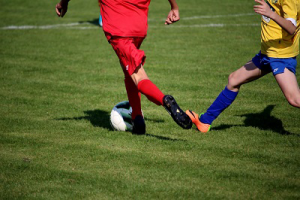 Keeping kids active now when they’re young will help instill good habits that last a lifetime. How can you help your child maintain a healthy weight? Staying physically active is the best way to help a child maintain a healthy lifestyle and weight. Help your child find an activity they love, and encourage them to engage in that activity on a regular basis. Playing at the park, riding a bike, running, playing sports and even dancing can get a child moving and burning calories. Exercise will help your child maintain a healthy weight and a healthy mental state, too. More kids are spending time indoors and on their phones than ever before. Whether they’re playing games or updating their Snapchat, children are glued to their screens. Parents can encourage kids to stay physically active by limiting screen time to just a few hours a day – unless more time is needed for school work. Apps are available to help parents log and keep track of their child’s screen time. Providing healthy food options is an obvious way to keep your child at a healthy weight, but many parents overlook the importance of water. Sports drinks, sodas and even fruit juice contain high amounts of sugar, which translates to more calories. Encourage your child to drink water instead of sugary drinks.